Uff Da! Rocks my socks! Again. It’s no secret how much I love Emily and her awesome creations over at Uff Da Designs. Rylee loves her Uff Da goodies too! If you don’t believe me, just go here, here and here. Anyway, a couple months back Emily put it out there that she had an idea for a new product and if anyone had a birthday coming up she’d like to send a product in exchange for some pictures. Um, DUH! I am kind of in love. The colors went with the theme perfectly! It was fun and festive. It is very well made, like everything Emily does, (duh!). And the best part? It’s totally going up in Ry’s room now…Two for one! She’ll have them available in her shop soon. And for the record, doing a little review had nothing to do with the reason Emily originally sent us the banner. My thoughts are all my own, I just love her and her little felt creations that much! 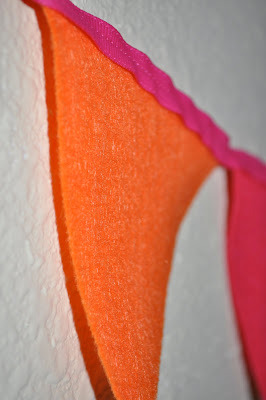 This entry was posted in birthday, party, straight crafty on May 17, 2011 by katherine.